Do you know what type skin type you have, is it dry or dehydrated? There seems to be a lot of confusion regarding this topic. It’s time to talk about dehydration in today’s post. Dehydration used to be my mainly concern but my Korean skincare routine saved my skin from dehydration. When I was a teenager I used to think that my skin type was oily, well it kind of was because of hormonal acne. I used harsh acne cleansers (like the old school clerasil which broke me out) and some over the counter moisturizer for oily skin. After growing up and visiting a beauty salon specialist told me that I had dry skin, so I started using moisturizers for dry skin. Only later did I discover that I had combination skin, which led me into buying skincare “moisturizers’’ for the combination skin type. Unfortunately, nothing really improved my skin condition. There were only some minor improvements due to prescription drugs and hormones that started to calm down. By that time I had spend a huge amount of money on (ineffective) skincare products, while my skin was still in a bad place, more specifically; combination dehydrated skin with acne prone cheeks, enlarged pores. It was not until I became interested in Japanese and Korean skincare products that my understanding of my skin condition changed. I suddenly discovered that my skin was dehydrated and not dry as suggested by many beauty specialist. And all this years I couldn’t understand why my skin was acting so crazy, feeling dry and at the same time breaking out. Now I know it - it was dehydrated with a damaged acid mantle. Dehydration is a skin condition whereby the skin is lacking water, anyone with oily, combination, normal or dry skin can have dehydrated skin. There can be many causes of dehydration e.g. genetics, diet high in caffeine, sugar and alcohol, environment and lifestyle (stress, smoking). The most obvious signs are when the skin feels tight, very fine creepy lines, and an overall dull – grey looking skin. You may still have oily areas, which is why many often mistake their skin for oily and go for the heavy mate makeup look. 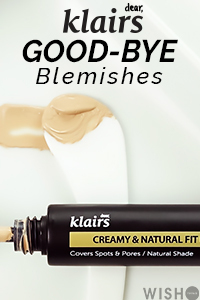 So, a common mistake is the use of mate foundation on dehydrated skin, as your skin will absorb any water from your foundation leaving your makeup patchy. Nobody likes that tightening feeling in the skin, dryness and patchy make up. I’m sure many of you might recognize what I’m talking about. It’s a common problem that for some reasons is (mainly) ignored in the western beauty industry, one of the many reasons why I will never give up on my Korean skin care routine. If we look at it from a scientific point of view, then Trans-epidermal water loss is the main mechanism responsible for dehydration. Trans-epidermal water loss is a process when water from the inside passes the epidermal layer to the surrounding. Now knowing that can you imagine how important maintaining the skin barrier must be? Any disruption to the skin barrier often caused by humidity, external trauma (wounds), and temperature, can lead to Trans-epidermal water loss. If this happens skin becomes visible dehydrated to the naked eye, looking dull, uneven, patchy, accentuating lines, and generally making you look years older. The looks we see in Korean drama shows, advertisements and everywhere else..It’s the very famous moisture dewy looking skin. 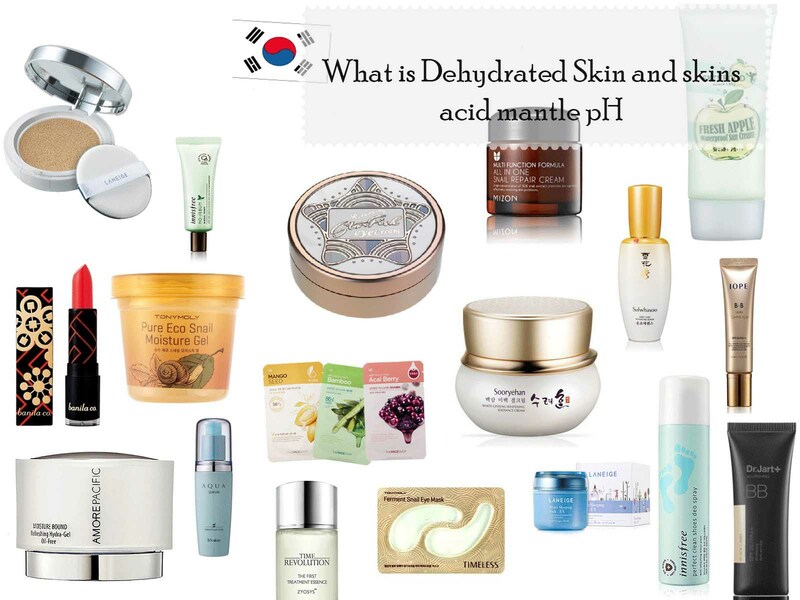 Korean women try to achieve exact the opposite of dehydrated skin, what they seek is young glowing looking skin. Its without doubt that Koreans have a different approach to skin care and beauty than we here in the west. They are very much obsessed about the hydrated - dewy look, so not surprisingly are there many Korean skin care products and cosmetics to achieve that look, and for the ones like me- battle dehydration! I honestly don’t know where to start with recommendations, because there are so many products available. Important is to make your own skin care routine, layering products depending on the needs of your skin. Sleeping masks like the laneige are very nice for that morning glowing skin look, Hydrating toners like Hada Labo, and don’t miss on sheet masks like the Innisfree. Lately, there is so much talk in the AB community about the skin pH and whatever it is necessary to use an acid cleanser. I must tell you, it really is important to balances the skins pH! Human skin is slightly acid, natural pH around 4.5-5.5 of skin. This acidity protects our skin from the environment. Most cleansers and soaps are alkaline, some have a pH of 8 and 10. Changing the pH of skin disrupts your skin's lipid barrier and weakens it. Imagine your skin "leaky", due to the disrupted acid mantel dirt, bacteria, irritations and allergens can pass through, and water leaks out. Which results in Dehydrated and irritated skin. So a weak skin barrier is often the cause of many skin problems, including acne and dehydration. Who wants their skin to be “leaky”, nobody!, changing to an acid cleanser and when necessary a toner is a must. If you are interested in more then I advise to read a post on fanserviced-b from Tracy, she has tested many pH friendly cleansers and gives good recommendations. I have yet to try most of the cleansers, so can’t give my opinion here. I will do megapost of my Korean skin care routine in the near future, I can tell you that will be huge, but now just short on the steps I take: Double cleansing > Active serum > (hydrating toner )> essence > serum > emulsion > finisher. To my night time routine I can add a sheet and sleeping masks occasionally. Very informative post dear. I never knew acidic pH is good for skin. Thank you for sharing it. Nice! there's nothing wrong with using high-ph cleansers though. Smokers are well-noted for having premature aging due to constantly pursing their lips around a smoke, and the deadly toxins in cigarettes.Non-Surgical Face Lift Costa Rica Smokers will generally form wrinkles at a much younger age, and those that hit the bottle hard will develop early wrinkles and have blotchy skin.